BMW plans to unveil their largest SUV to date – the X7 – in a concept form at the upcoming 2017 Frankfurt Auto Show. The home show of BMW and other German automakers will host a large number of world premieres, with BMW planning to also unveil the new 6 GT, i3 S and X3. Other surprises might be planned as well. 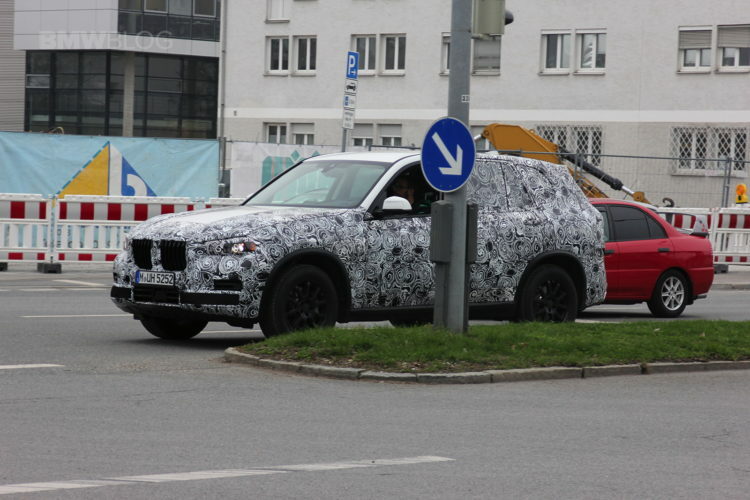 Packing three full rows, the BMW X7 will also be the brand’s first true seven-seater. It will also have comparable luxury to the Range Rover and will even have trim levels that challenge the ‘Rover’s Autobiography line. So not only will it be the largest vehicle ever made by BMW but it should also be the most luxurious. BMW is likely to offer the X7 with a plug-in hybrid powertrain, alongside conventional engines. Sources have previously speculated that it will feature a selection of six and eight-cylinder engines, such as the 3.0-liter diesel in 30d, 40d and 50d guises and the twin-turbo 4.4-liter petrol V8 from the X6 xDrive50i. A plug-in hybrid variant could be similar to the drivetrain used in the 740e, which packs a 2.0-liter BMW TwinPower Turbo inline four-cylinder, 16-valve 255-hp engine, combined a twin-scroll turbocharger with variable valve control (Double-VANOS and Valvetronic), high-precision direct injection and eDrive 111-hp electric motor. Total power output of 322 hp. The seven-seat X7 is being developed with the US and Chinese markets in mind, but was confirmed for UK sales by BMW head of sales and marketing Ian Robertson last year. BMW wants the X7 to be the brand’s flagship luxury vehicle and offer luxury levels above even the 7 Series sedan.